This, then, is David Bowie's deathbed valedictory release. For that reason, it is an extremely difficult album to review. It is just seven tracks of avant-garde jazz-influenced material. 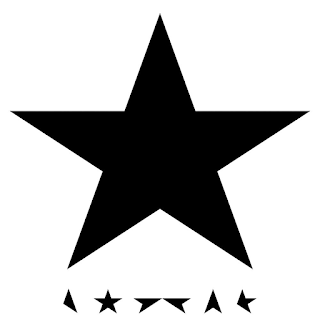 Bowie had, no doubt, wanted to do an album like this anyway, impending demise or not. The title track is a wonderfully bleak and very atmospheric track, all full of portentous gravitas, strong drum beats, deep, sonorous saxophone parts and a typically haughty vocal from Bowie. There are also monk-like chanted backing vocals. The whole thing takes on a holy ambience. The bit where the pace suddenly changes half way through and he sings "something happened on the day he died" and the melody suddenly takes on a seventies feel is just so poignant. "'Tis A Pity She Was A Whore" (taking its title, almost verbatim, from a seventeenth century John Ford drama "Tis A Pity She's A Whore"). Bowie's song bears no relation to the play and is a frantic piece of avant-garde jazz rock, with high-pitched saxophones swirling around all over the place and perplexing lyrics. It is highly enjoyable though, as too is the soulful, saxophone and guitar-driven "Lazarus" with its death-knell solemn drumbeat and its "look up here - I'm in Heaven.." now iconic opening line. "Everybody knows me now..." sings Bowie, plaintively, as the drums continue and the saxophone floats all around. It really is a heartbreaking listen. However, taking it out of context, and viewed objectively it is a damn good track. The end has a rubbery, intoxicating bass line and some cutting guitar breaks that enhance it even more. "Sue (Or In A Season Of Crime)" is another lyrically mystifying one. It was released considerably earlier than the rest of the album, in October 2014, and had many scratching their heads over the seven minutes of jazz meets dance rhythm meets haunting lyrics. Not expecting Bowie's demise at that point, reaction to it was definitely mixed. They should have known Bowie better than that, by then. "Girl Loves Me" is a slow-paced, mournful lament sung over a huge, powerful slow drum beat with some echoey vocals. "Where the f*** did Monday go?" questions Bowie, several times, in oddly vulgar fashion. None of the material on this album has anything like the instant appeal of the previous album, it has to be said, but that has always been the case with Bowie albums. Rarely is one just like the previous one. "Dollar Days" is an endearing song, with a lovely saxophone solo and, despite its lightness of touch (compared to the other material) still carries a considerable poignancy. "I'm dying to...." sings Bowie, continually, with a profound double meaning. It segues, via some shuffling drums, into "I Can't Give Everything Away", a fetching, typically Bowie song with clear echoes, I feel, of the track "Never Let Me Down", particularly in its harmonica part. Some jazzy saxophone adds to the experience too. 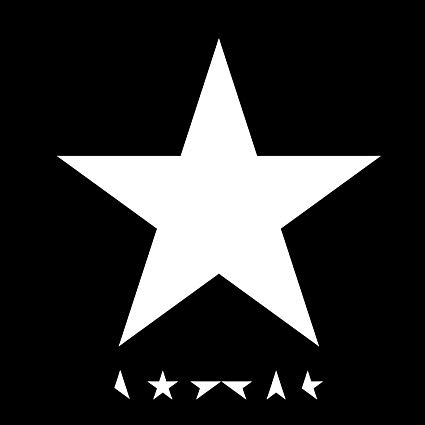 This was the final track on the final album from David Bowie. Goodbye, then, you strange, ethereal, distant man who has been part of my life from that same distance since 1972, when I bought "Ziggy Stardust" as a fourteen year-old. I quite like the fact that David Bowie leaves us with some adventurous jazz sounds flying around over his repeated "I can't give everything away" line. He ended on a song that pushed the boundaries. As indeed he should. This is a bold, experimental album that would have been given critical kudos anyway, despite its sad derivation. Many, at the time, despite the situation, found it dull or needlessly experimentational. If they thought that, then they didn't understand David Bowie. It was always that way. The same people threw up their hands and shook their heads upon the release of "Low". Three years on, it can be listened to with fresh ears and it has a real appeal that begs more listens.